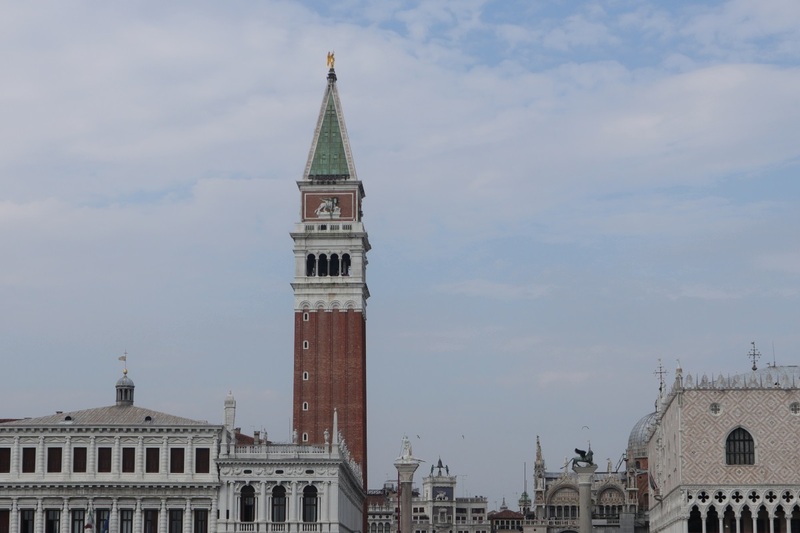 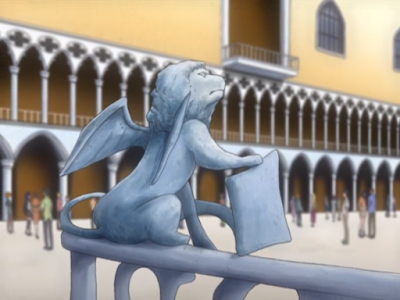 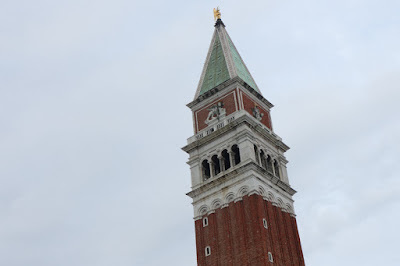 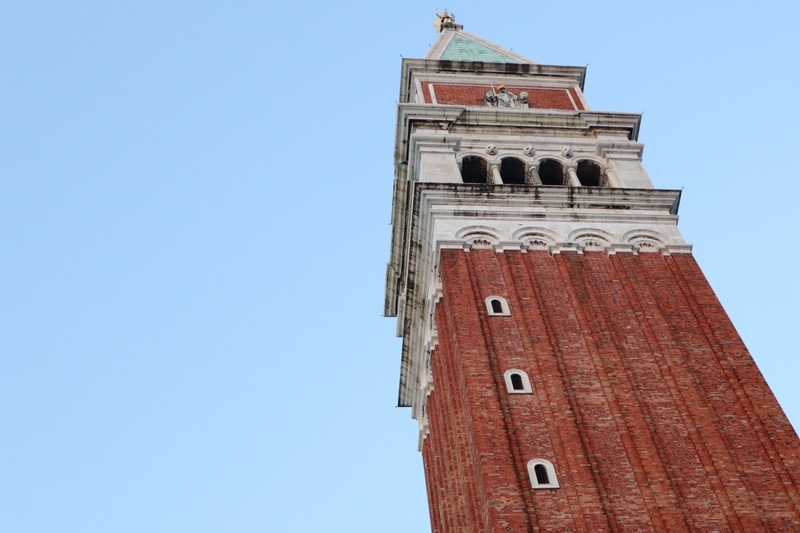 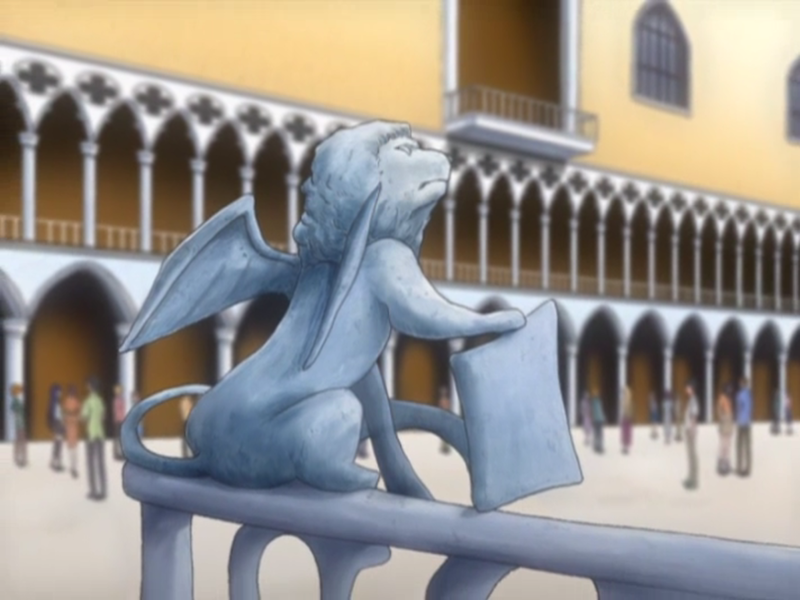 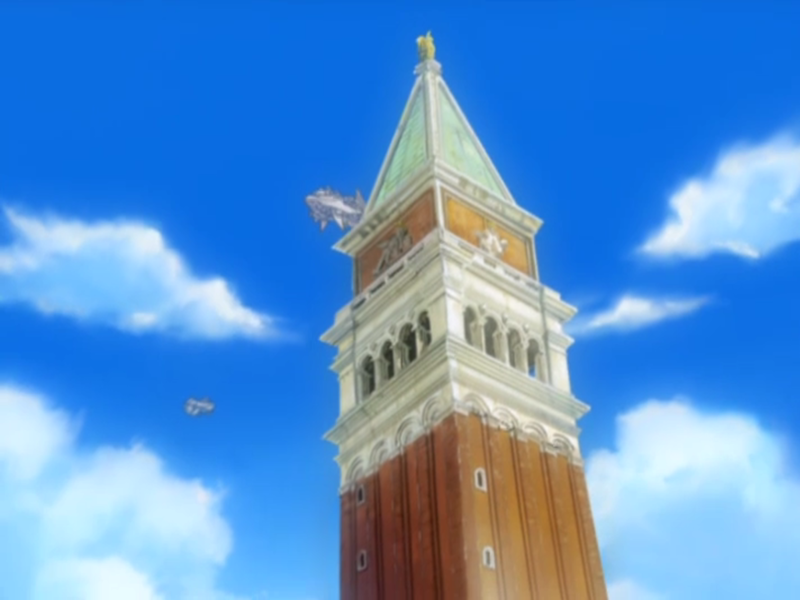 Saint Mark's Campanile, not to be confused with Saint Mark's Clock Tower, is the big bell tower at Saint Mark's Square which is shown in a lot of episodes of Aria. 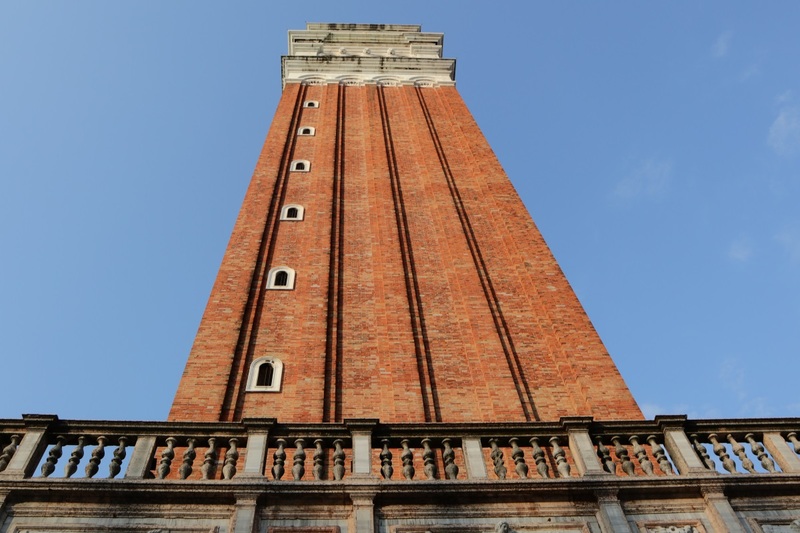 The view of the top of the campanile is shown in several episodes. 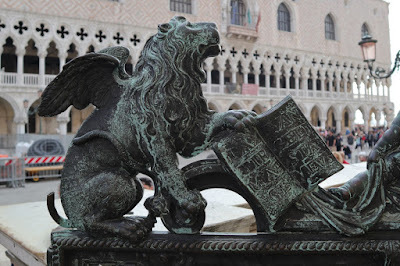 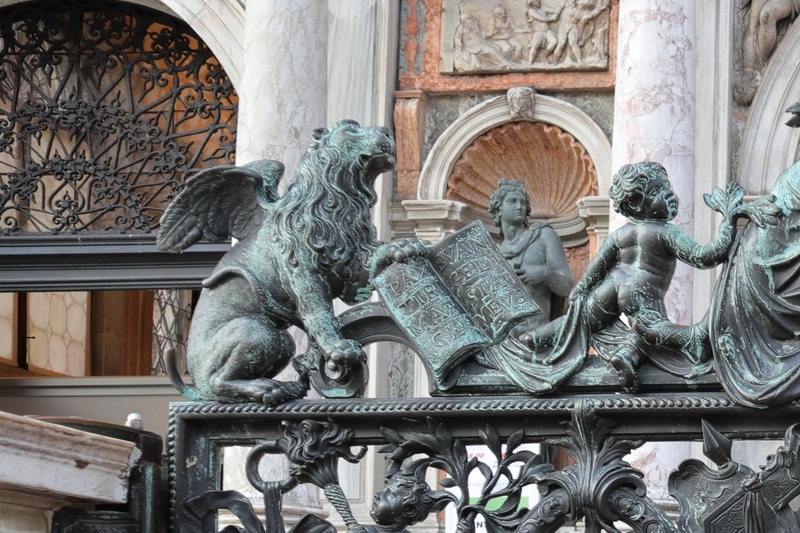 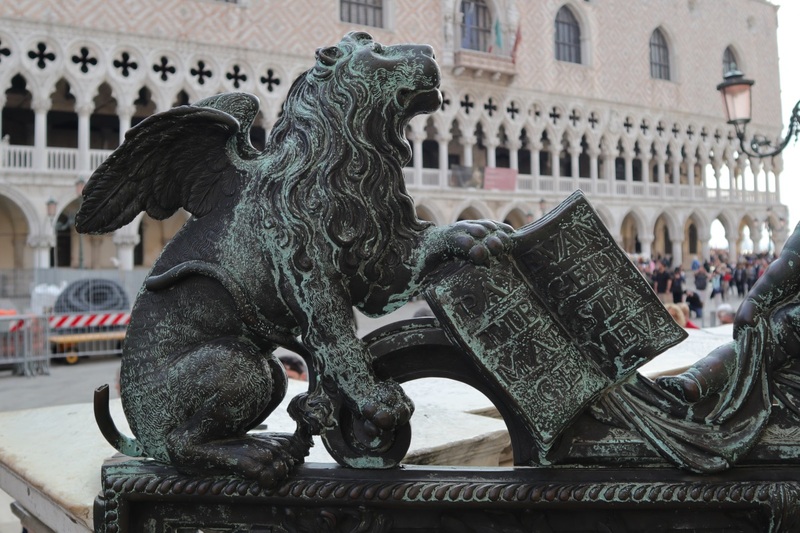 This lion decoration is on the gates of the campanile. 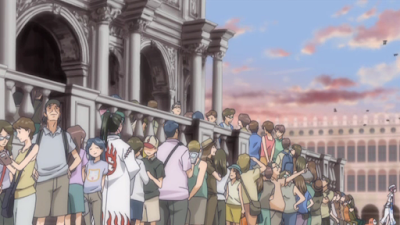 This is how it looks when the gates are opened. 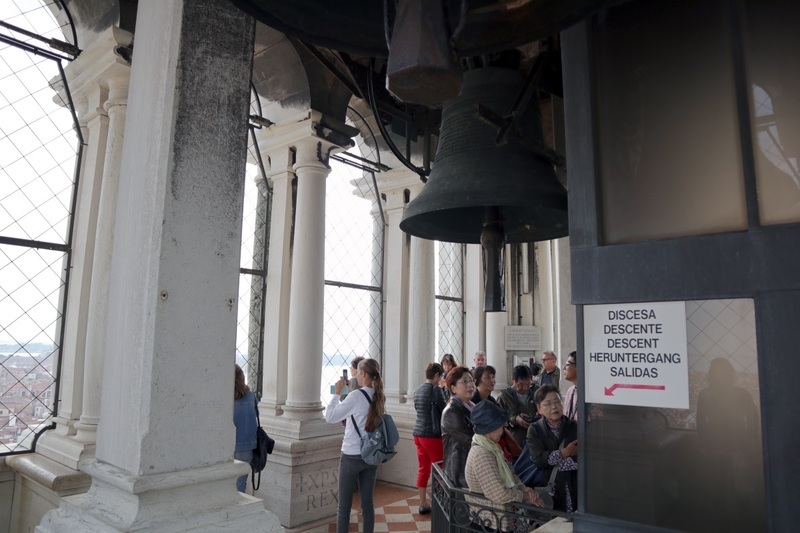 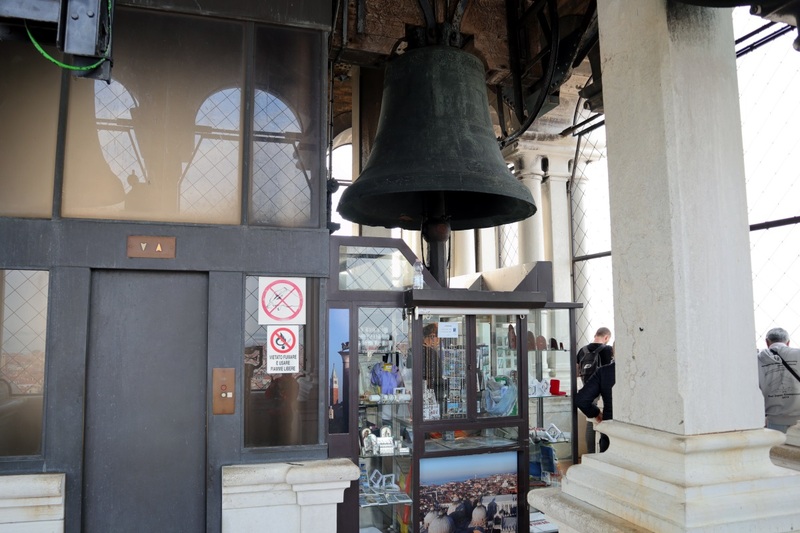 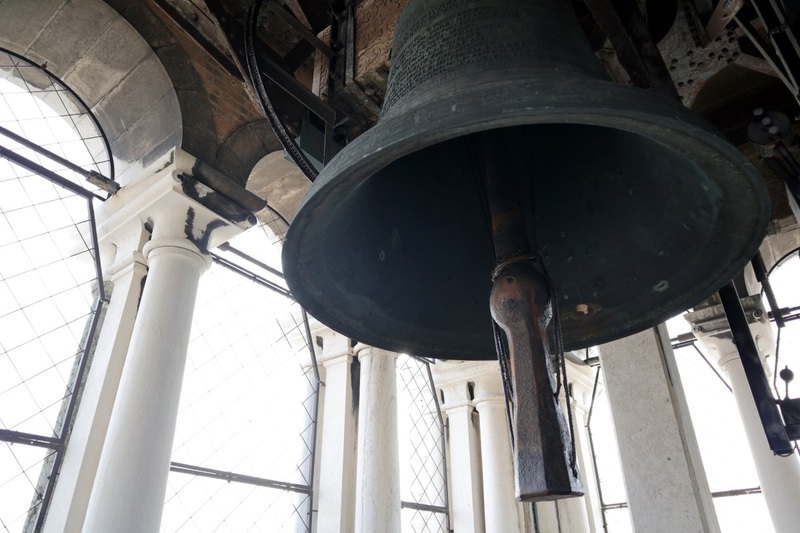 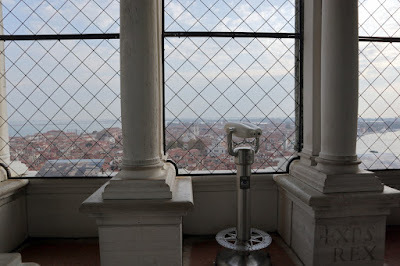 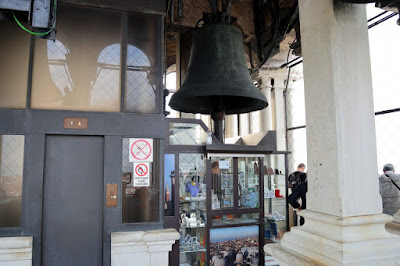 These bells are inside at the top of the campanile. Alicia and Akira has taken the elevator up. 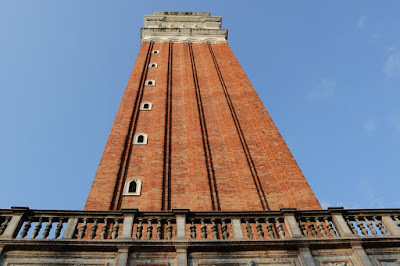 View of the campanile from Saint Mark's Basin. 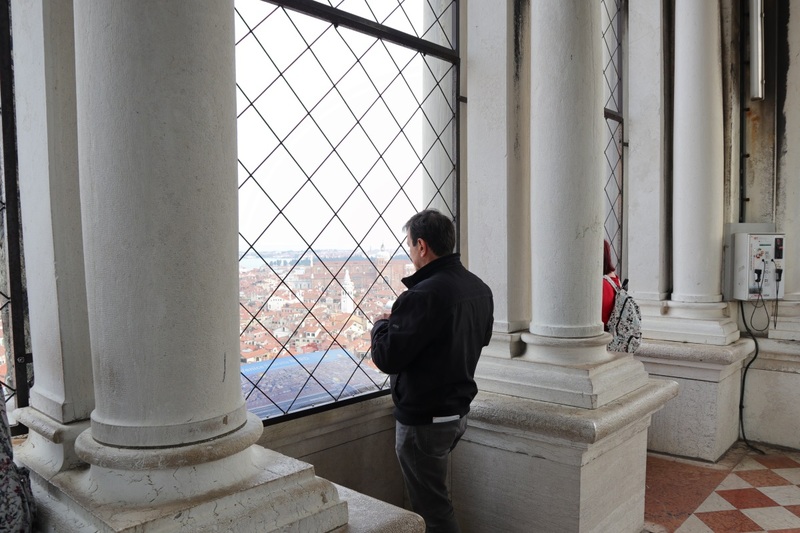 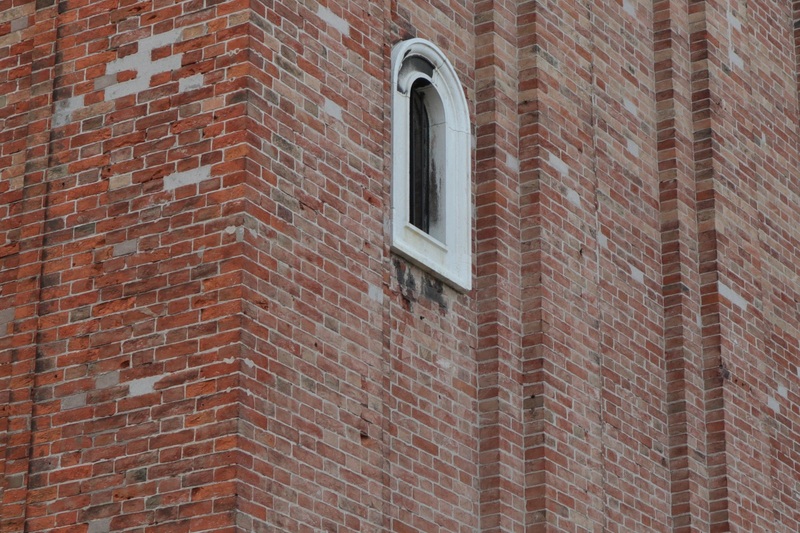 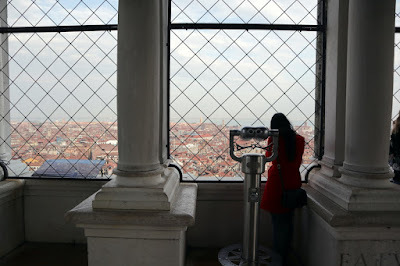 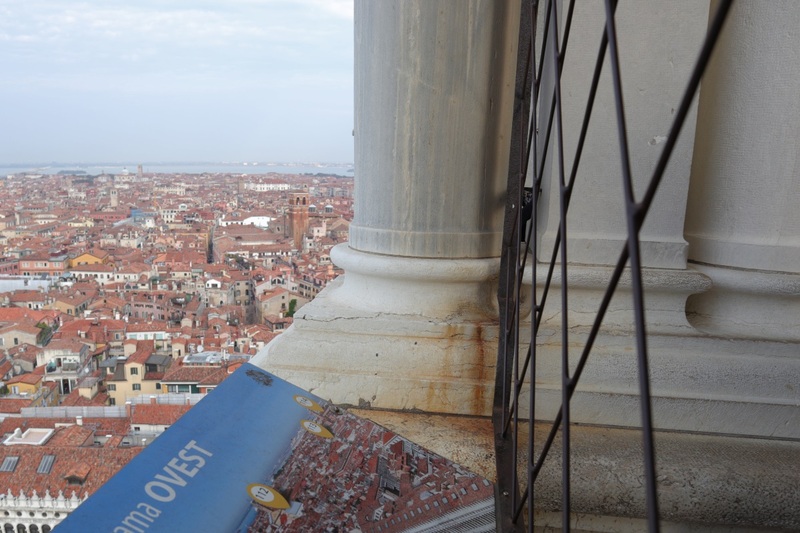 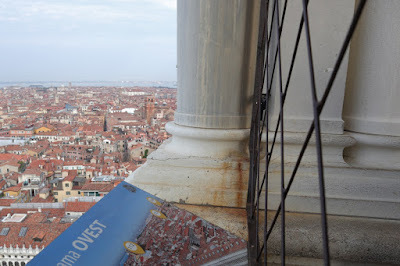 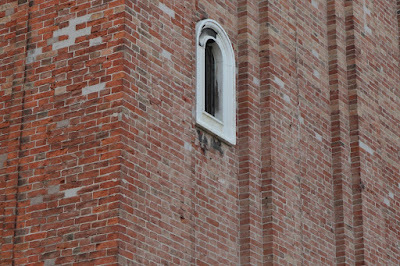 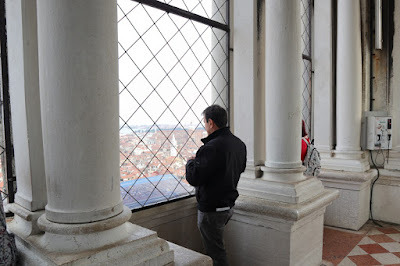 Luckily I avoided being up in the campanile when the bells rang. Unlike Alicia, Akira and Athena here. 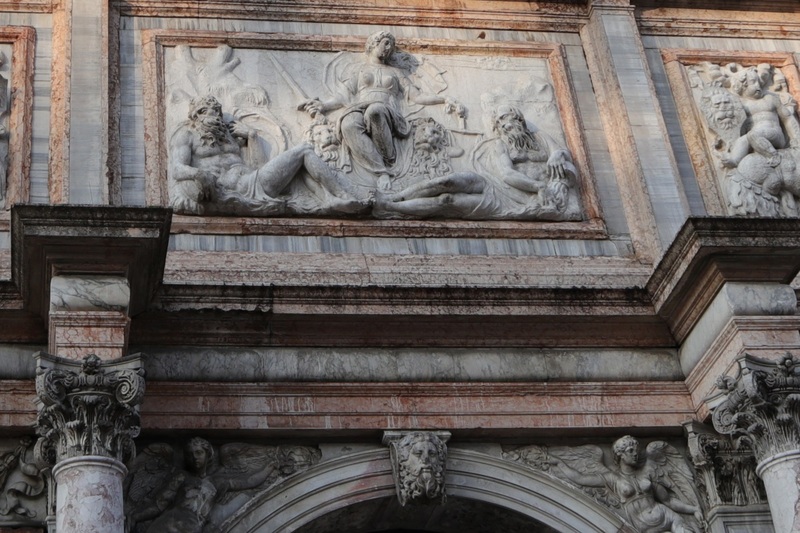 Another look at the decorations above the entrance. Akari in front of the closed gates. 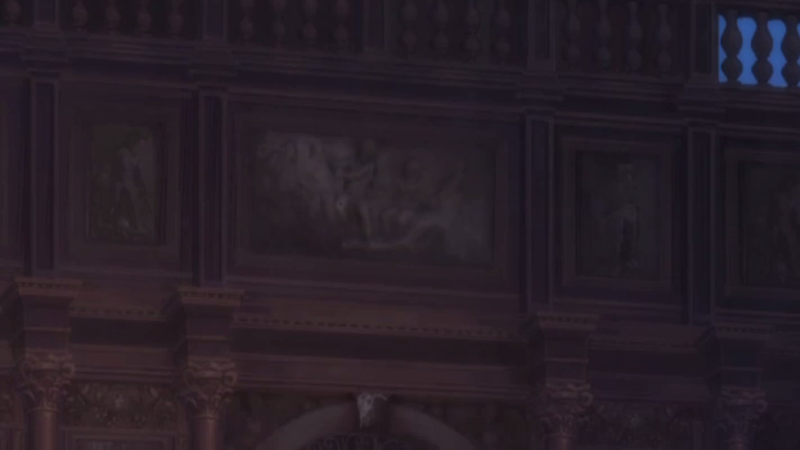 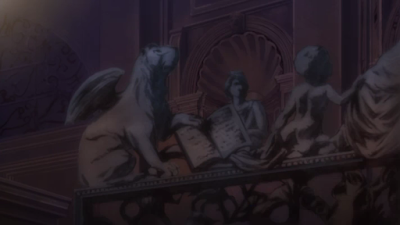 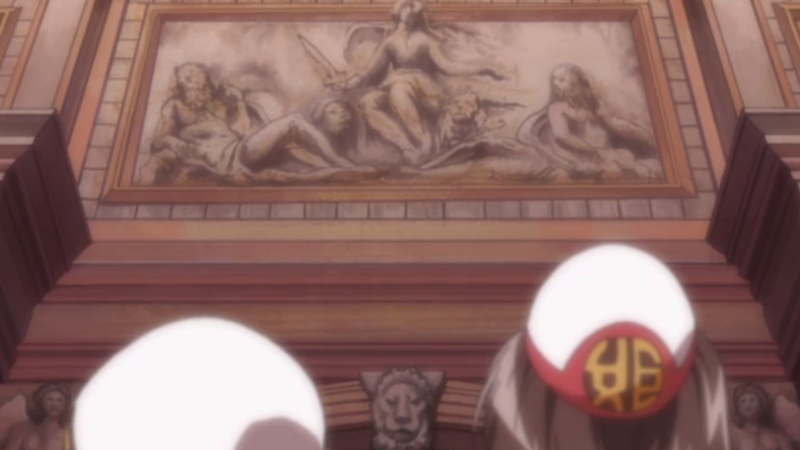 You can see the lion decoration on the left here. 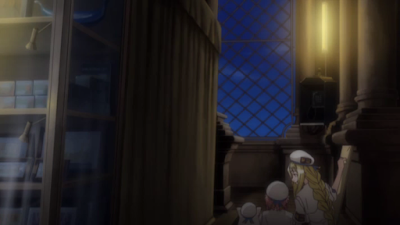 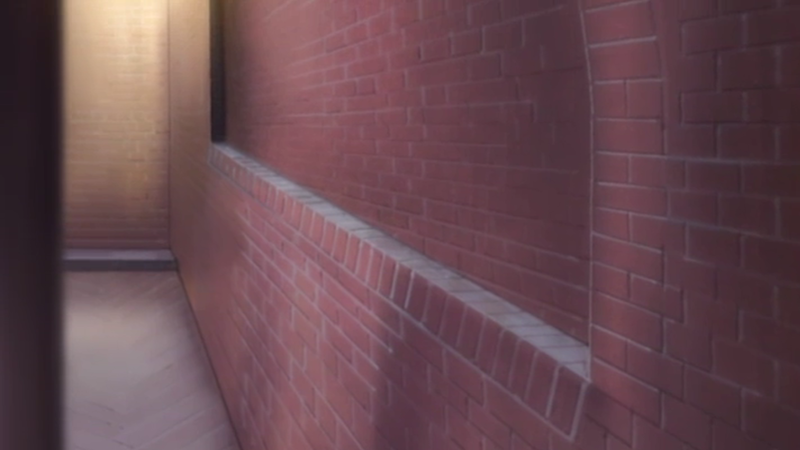 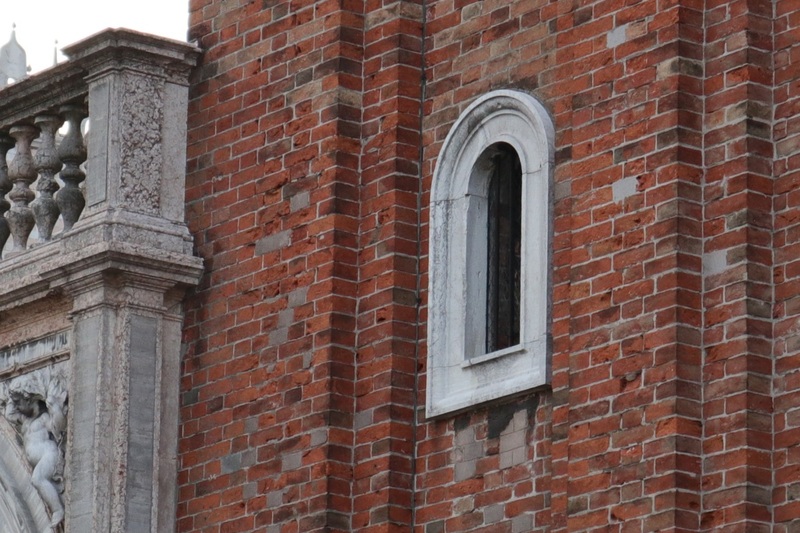 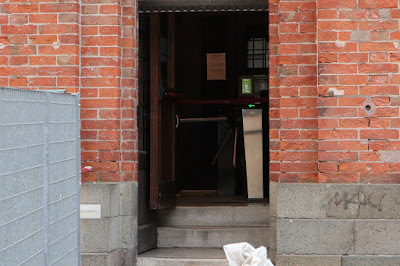 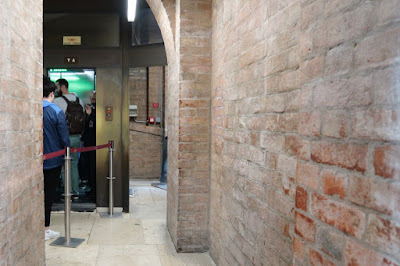 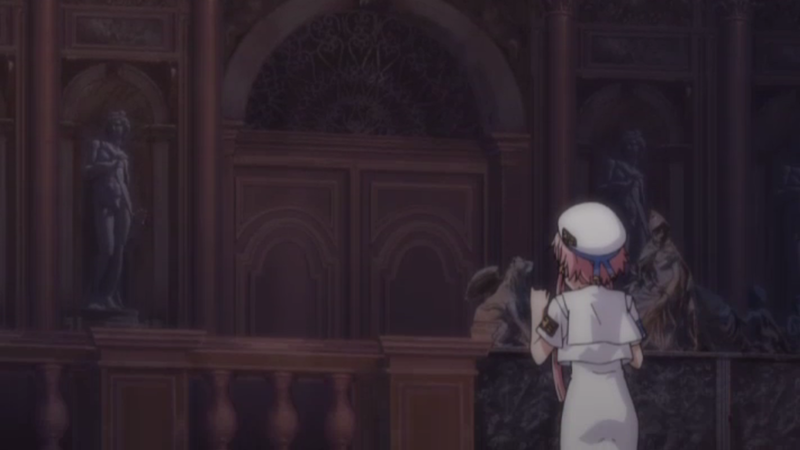 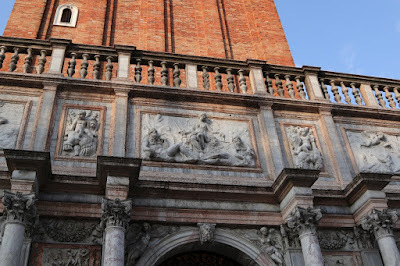 Akari and Alicia enters through this door on the side of the campanile. 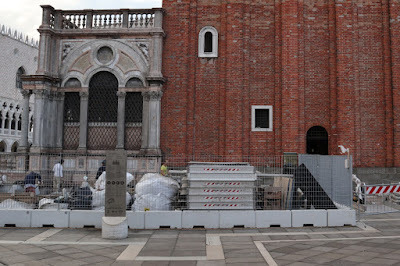 They were doing some renovations here while I visited. 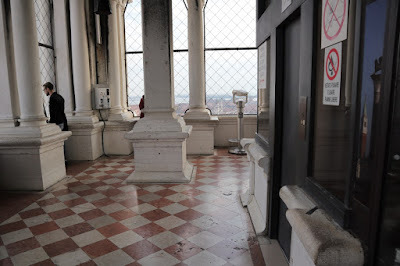 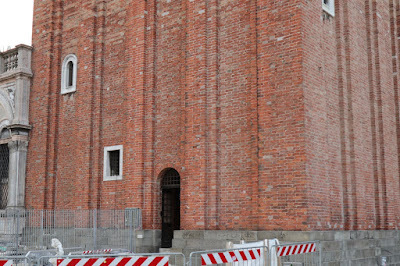 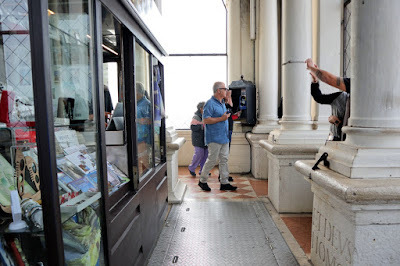 You're not allowed to walk up to the top here, you have to take the elevator in real life. 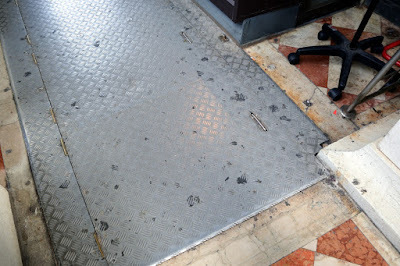 The stairs under this metal hatch are supposedly used as an emergency exit if the elevator breaks down though. 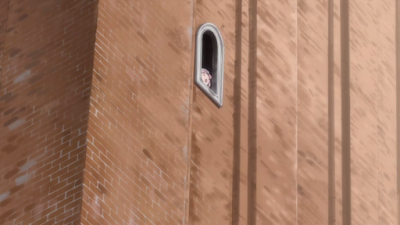 Akari and Alicia arrives at the top through the hatch. 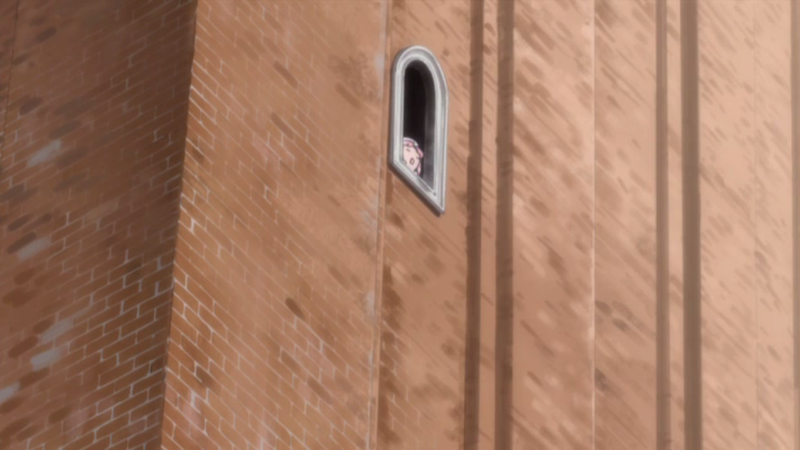 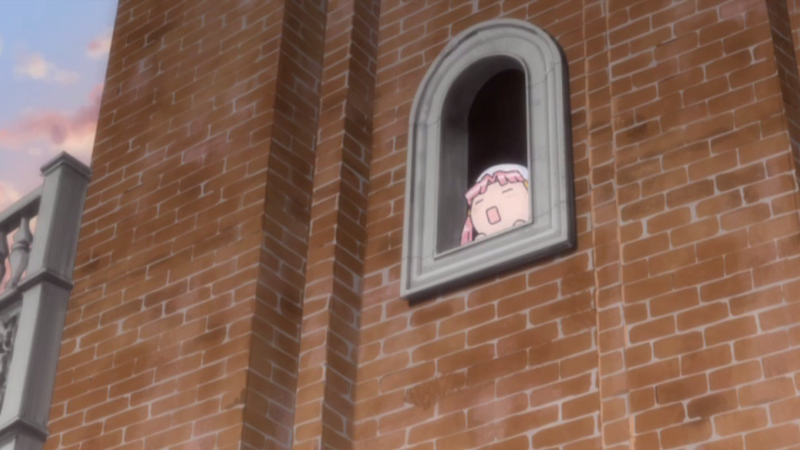 Akari looking through one of the campanile windows. 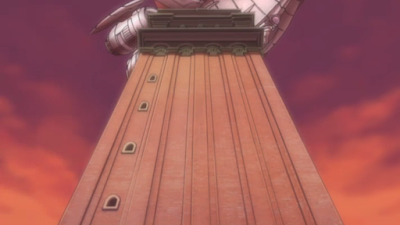 I've made a separate post with all the views from the top shown in the anime. 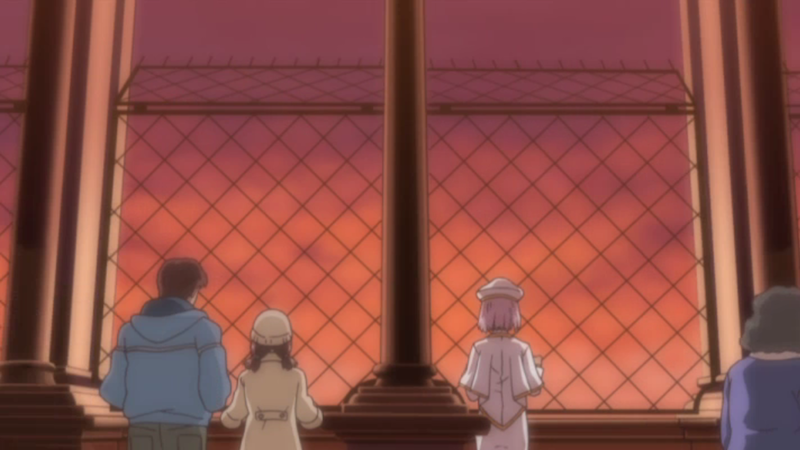 Akari is joined by Alicia. 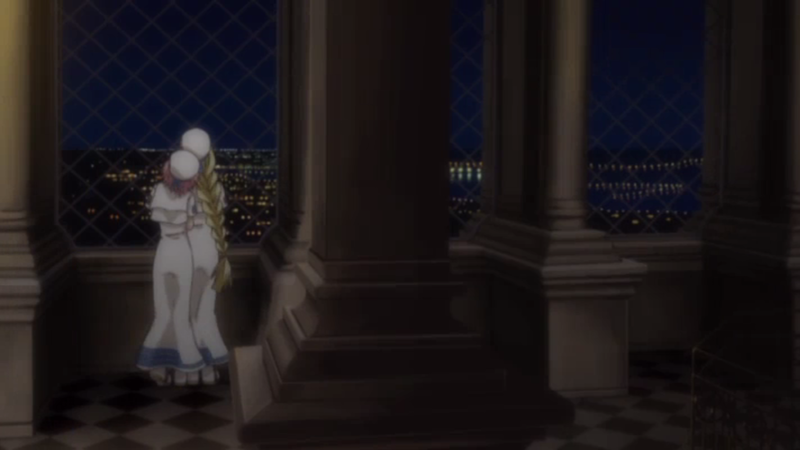 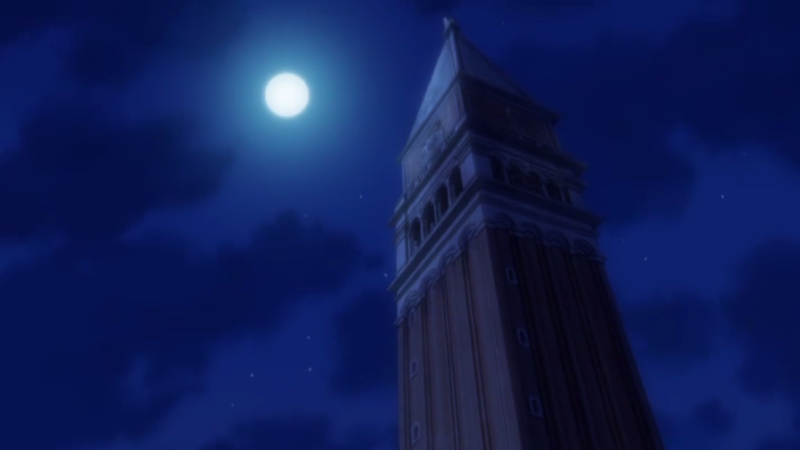 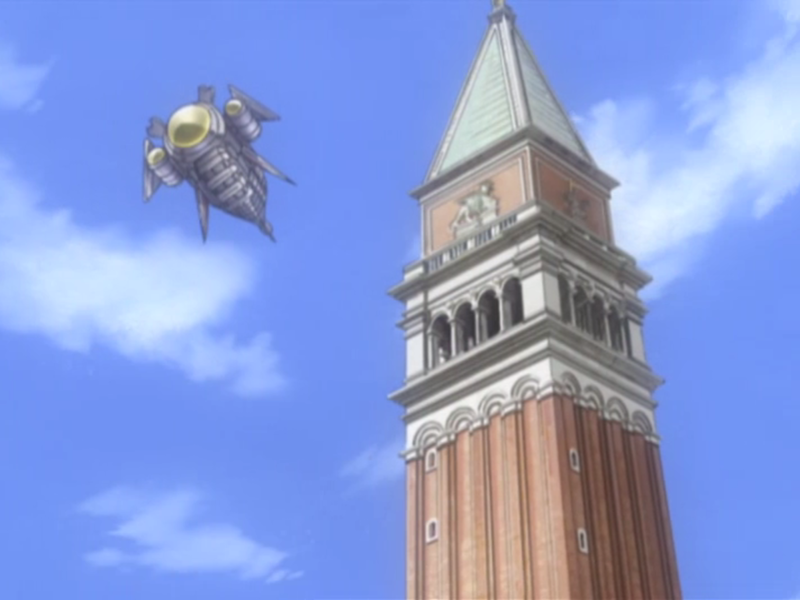 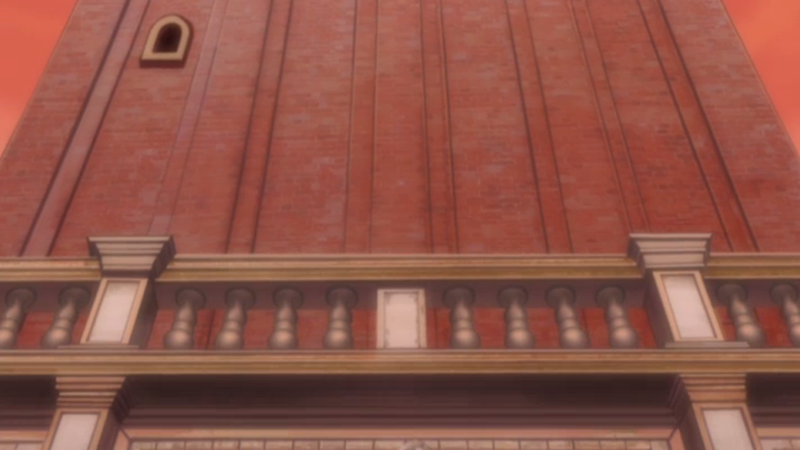 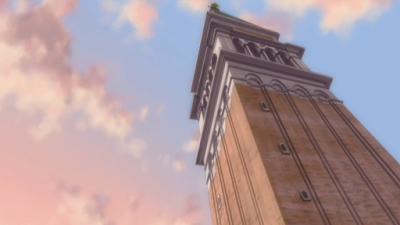 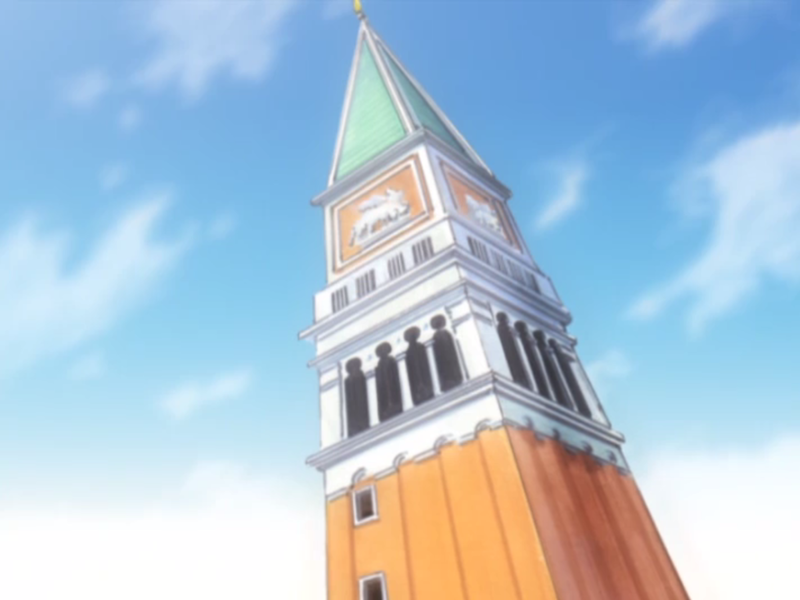 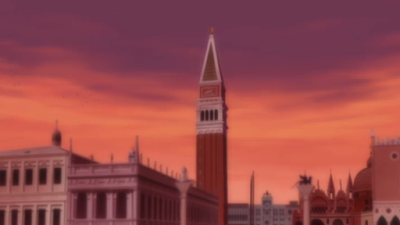 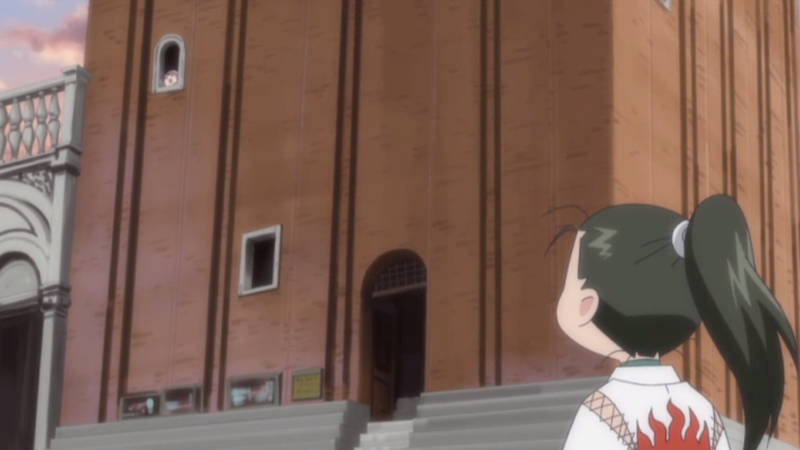 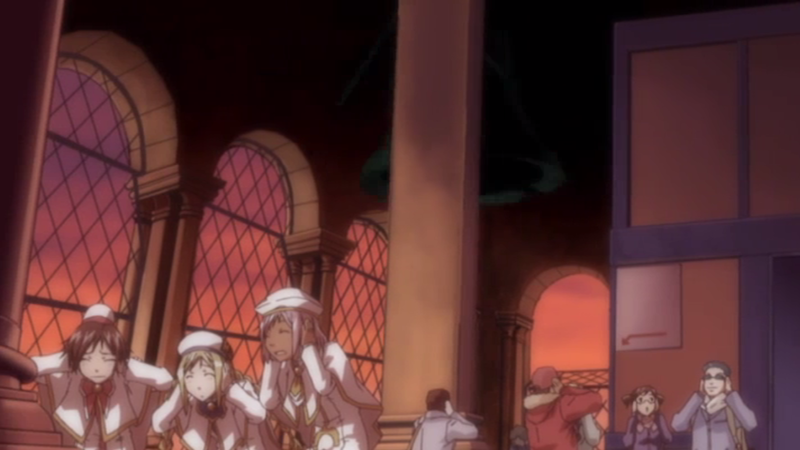 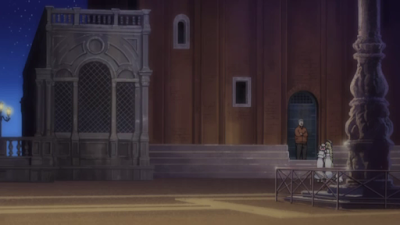 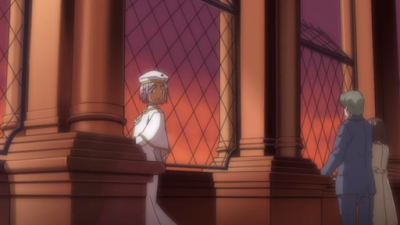 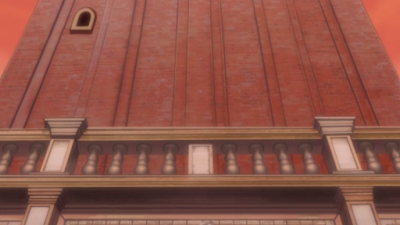 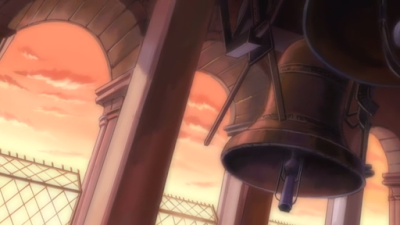 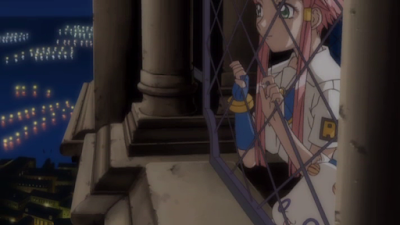 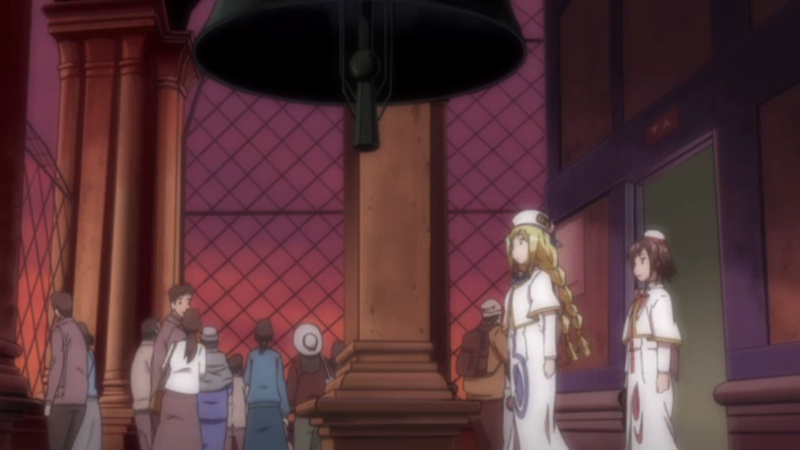 Another shot of the campanile from Aria the Origination. Akari further up the campanile. 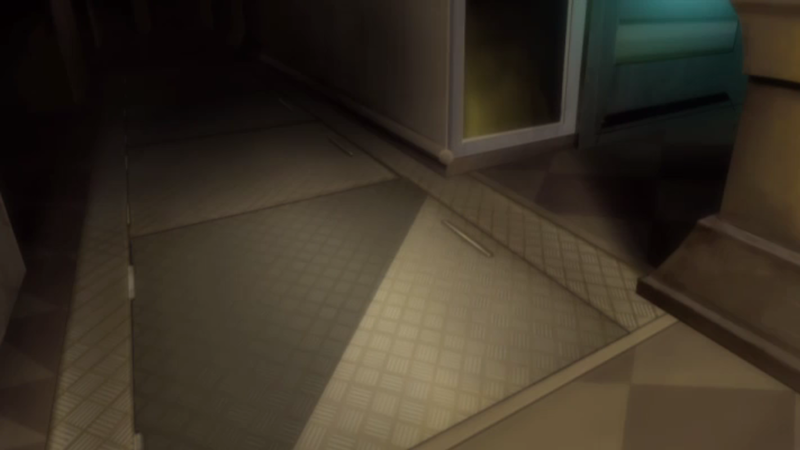 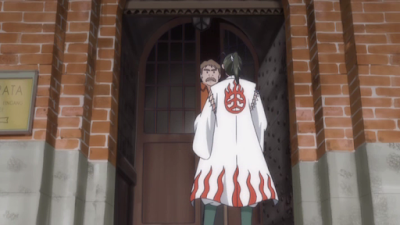 Akatsuki tries to enter the side door, but gets denied. This is actually the exit in real life. 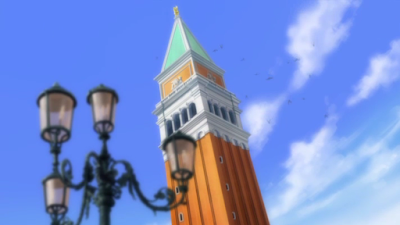 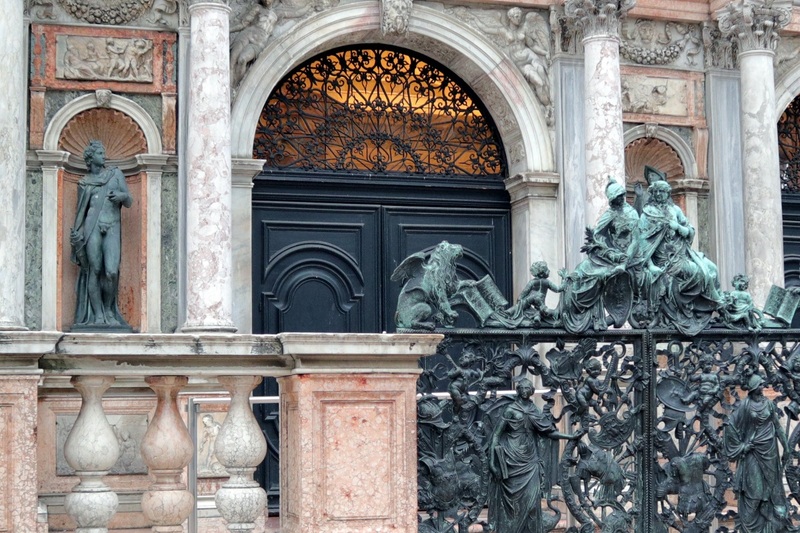 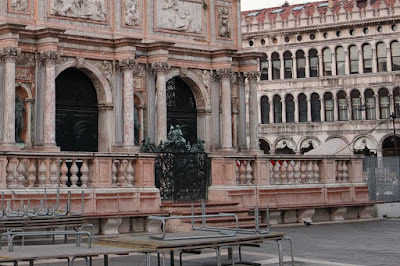 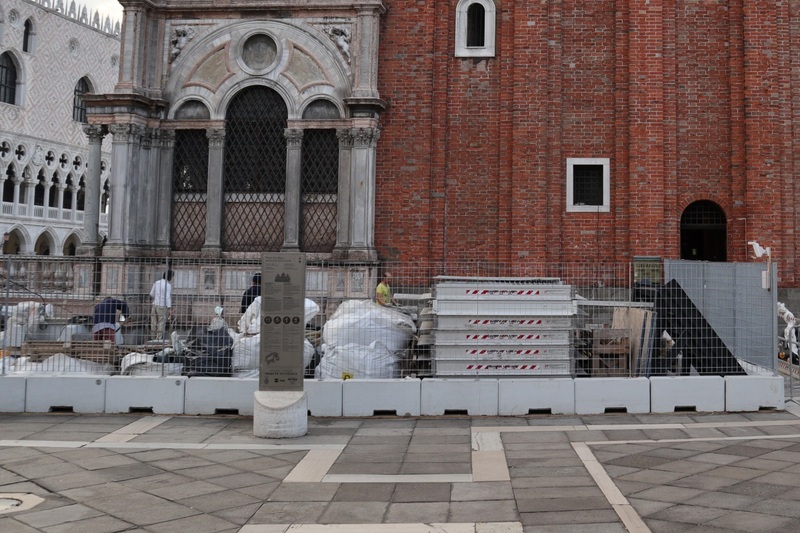 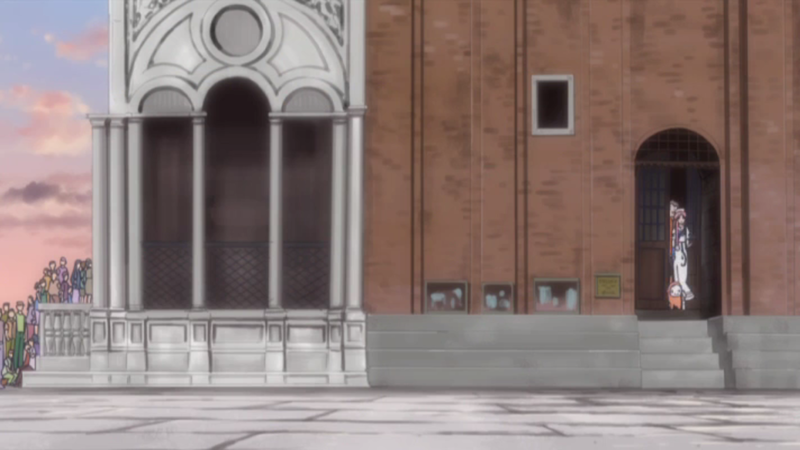 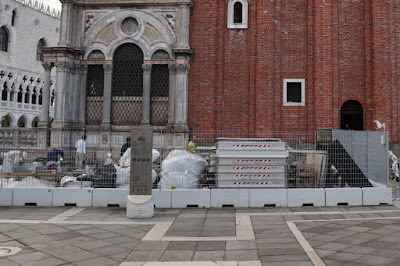 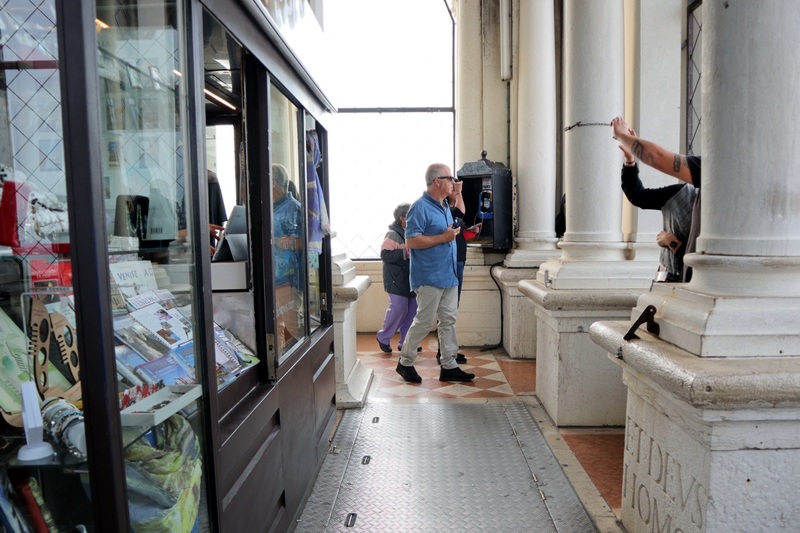 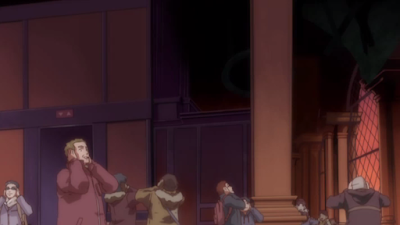 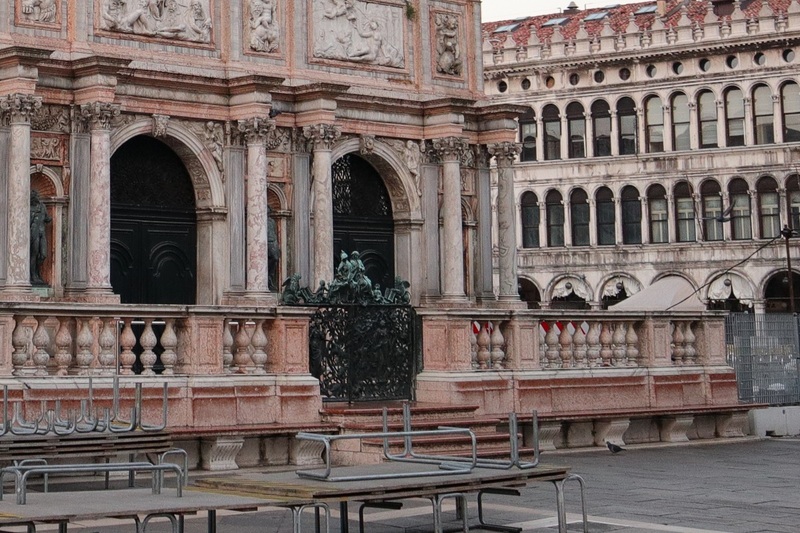 And walks towards Saint Mark's Basilica while Akatsuki waits in line to enter the campanile.